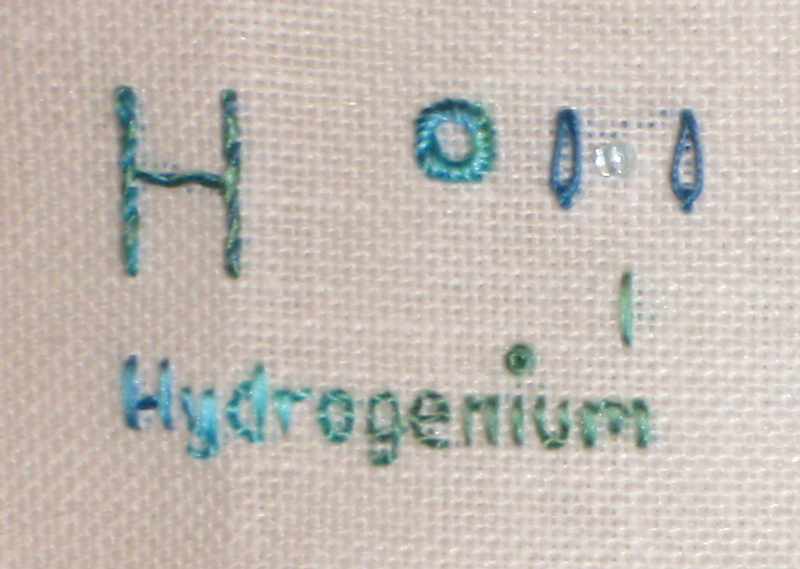 Hydrogen and the alkali metals make up the first row in my stitched periodic system. The most obvious relation between these elements is there lonely valence electron – leading to only one light coloured pearl in my periodic system. 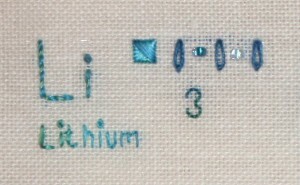 I began stitching the linen part first in all these elements, thereafter adding the pearls and finishing with the silk. Since I wanted to stitch theit full latin names I went looking for a list with alle their names together. I could easiely find their latin names along with the normal information if I looked each element up – but I wanted a collected list since it is easier to have in front of me when I stitch – And I found that I was looking at – along with entertaining intormation about their naming in general on the Elementymology website. 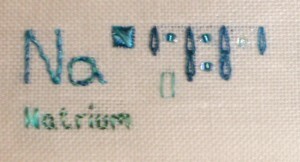 While I have been stitching the full names and the number small changes have been made to the letters. I have not yet adjusted my “overview design” as I have not yet stitched alle the letters in the alphabet and therefor may make further tiny changes. But I do follow the overall design and is still satisfeid with my colour choices. 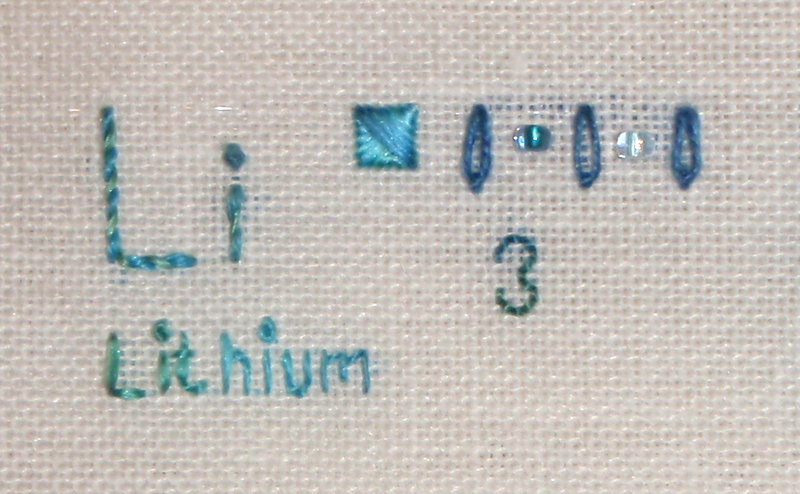 Some close-ups of each element (except francium) are below. I am not the best photographer, but hopefully you will enjoy the pictures anyway. 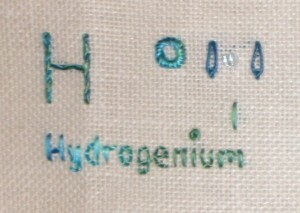 This entry was posted in Stitching the periodic table on March 2, 2014 by Tea.